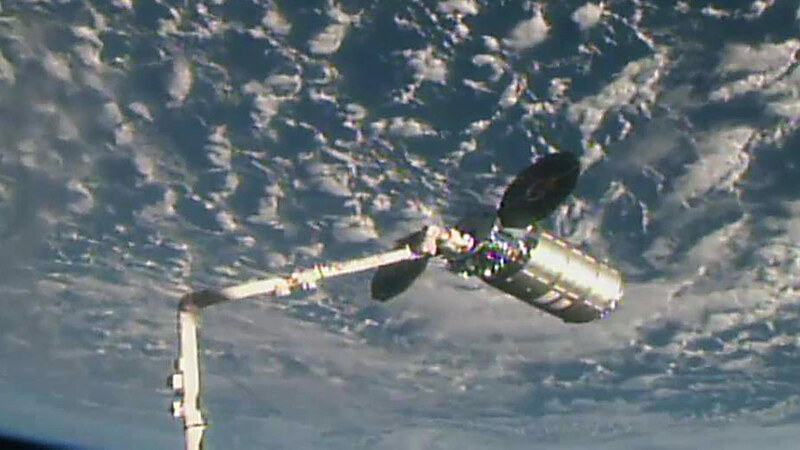 The Cygnus space freighter is grappled by the Canadarm2 after a three-day trip to the space station. At 5:26 a.m. EDT, Expedition 55 Flight Engineer Scott Tingle of NASA successfully captured Orbital ATK’s Cygnus cargo spacecraft using the International Space Station’s robotic arm, backed by NASA Astronauts Ricky Arnold and Drew Feustel. Robotic ground controllers will position Cygnus for installation to the orbiting laboratory’s Earth-facing port of the Unity module. NASA TV coverage of operations to install the Cygnus, dubbed the S.S. James “J.R.” Thompson, to the space station’s Unity module will resume at 7:30 a.m.
Mükemmel. insanlık tarihinin en büyük sunumu . Teşekkürler.